The grouse shooting season is now in full swing – following the annual war of words between the anti-shooting lobby and country sports enthusiasts that it always ignites. However Scottish locals who live and work alongside the grouse moors and depend upon the sport for their livelihoods take a more prosaic view. This has been explained in down-to-earth economic terms by Lesley McArthur, a partner in the Glen Clova Hotel in Angus, who has written a lengthy article in the Herald Scotland. Some of the antis create the impression that the estate owner pockets all the income created from grouse. Ms McArthur then illustrates why, in her world, this is not the case, and the positive effect grouse moorland has on local business, family, friends and neighbours. States Ms McArthur: “To say that country sports are vital in the Angus Glens would be a huge understatement. With no large scale industry on land that can be extremely inaccessible, and often unsuitable for farming, the income generated by shooting provides a lifeline for the survival of remote communities such as Glen Clova. Other local commercial concerns, such as garages and shops, would be hard hit by the hotels closing their doors. Tourists and visitors, who profess to love the beauty of the Scottish landscape, are often unaware that it owes much of its beauty to the care of gamekeepers, who attend to the famous purple heather and manage the all-important balancing act between the environment and wildlife species. 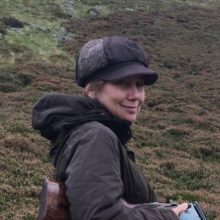 Ms McArthur is encouraged by events this year which have seen a change in promoting the tourism, employment and conservation benefits of the grouse shooting industry. She states that 57 full-time jobs have been created by grouse shooting across the seven local estates and that 512 beating staff are employed during the season. She also applauds the launch of the Gift of Grouse campaign, hoping that it will inform people about the significance of the red grouse to local communities, such as hers in Glen Clova. Should I choose a spaniel or a Labrador?